When you've written a book you want to see it in print. You want people to read and enjoy it. The only thing standing in your way is the publishing industry which rejects 98 per cent of the manuscripts submitted to it. Why not skip months of collecting rejection slips and simply join them at their own game? 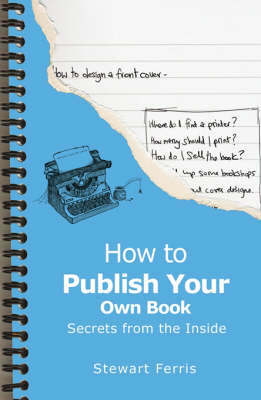 Anyone can publish their own book, and the cost can be as little as zero. In this easy-to-use guide, Stewart Ferris explains everything you need to know to be able to convert your manuscript into a printed book and to get that book selling in the shops, or to sell it online as an eBook. Stewart created the UK's first self-publishing agency in 1993 with his business partner Alastair Williams, offering authors all the services and advice they needed to publish and sell their own books.